Jami joined the Patient Voices Network in February 2016, bringing her passion for engaging people to her role as an Engagement Leader for the Fraser Valley Region. 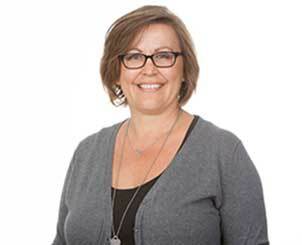 Prior to joining the Network, she led the communications and engagement strategy for the largest provider of seniors housing in British Columbia, Retirement Concepts. Before that, she spent 10 years at Fraser Health leading a multidisciplinary team focused on creating healthier communities. Throughout her career, Jami has used her enthusiasm and experience to create cutting-edge partnerships alongside health care providers, the public, government leaders and community stakeholders. These partnerships increased collaboration and a shared responsibility for better health across British Columbia. Some of the cities and communities in Jami’s area are Burnaby, Coquitlam, Port Coquitlam, Port Moody, Pitt Meadows, Maple Ridge, Surrey, Delta, Langley, White Rock, Abbotsford, Mission, Chilliwack, Harrison, Agassiz, Hope, Boston Bar, and Anmore-Belcarra. She has worked with health care partners such as Fraser Health, Peace Arch Hospital and Delta Hospital. How would you describe what happens when patients collaborate with health care partners? “What don’t I like? Building relationships is the best part of the role. Being able to support these truly committed people go above and beyond their own boundaries to improve the health care system for all is the reason I get up in the morning and hit the ground running!